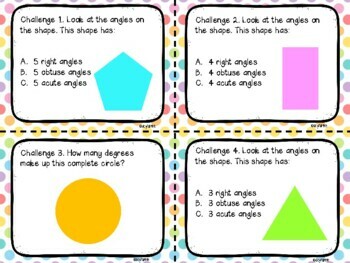 This set includes 24 measuring angles task cards with 6 challenge cards that include identifying angles on shapes. 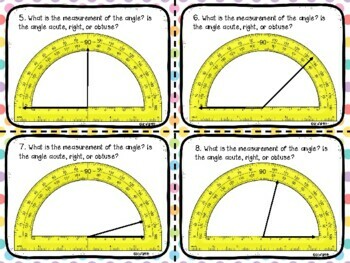 Cards 1-12 are for measuring angles to the nearest 5 & 10 degrees. 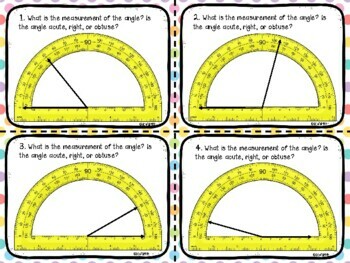 Cards 13-24 are for measuring angles to the nearest degree. 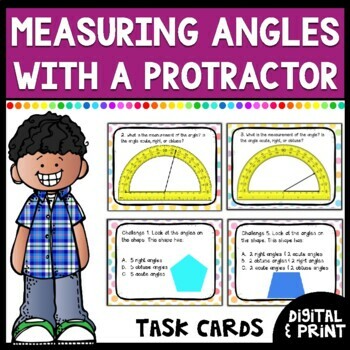 Students will also identify whether the angle is an acute, right, or obtuse angle after reading the measurement on the protractors. A student recording sheet is included as well as a teacher answer key.